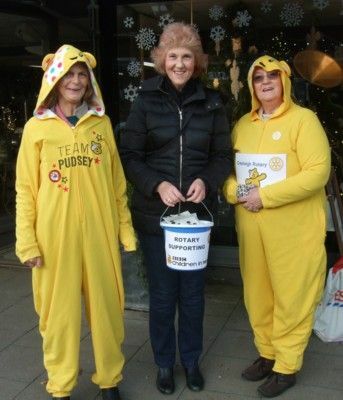 Each year, Cranleigh Rotarians support the local community and raise thousands ofpounds for charities at home and abroad. In order to continue their outreach, they are always seeking new members, associate members, friends and volunteers. If you would like to get involved, even in a small way, please get in touch. Unlike most of the activities, I found Rotary, to my surprise, ticked all my boxes. Initially I had discounted Rotary because I had thought it was only for men and had strict rules. How wrong I was! At a meeting I attended, I heard a local businessman explain how Rotary had helped turn his life around, enabling him to start his own, now successful business. Rotary helps all sorts of people from all walks of life, locally, nationally and internationally. Rotary regularly holds local fundraising events which are huge fun, such as a race night to raise funds for virtual doctors in Africa, Children in Need, and Santa Dash, which is quite a sight! Rotary International has been inﬂuential in the worldwide eradication of polio by providing volunteer manpower, in addition to $1.7 billion funding. Rotary’s advocacy efforts have played a role in decisions by donor governments to contribute more than $7.2 billion. As Rotary is a worldwide familiy, when I am travelling I can usually ﬁnd a local Rotary club to visit. In a nutshell, Rotary is a great way to meet people, it can be tremendous fun and provides opportunities to get involved in local, national and international charities and causes. Do come along and give us a go! You won’t be disappointed. Rotarians also take part in a variety of sports activities which inlcude golf, skittles, tenpin bowling and darts. 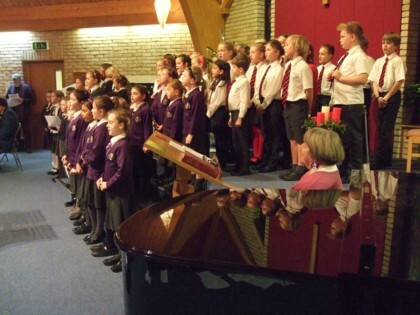 Their activities include fund raising for the community and for global projects. They also help with school events, quiz evenings, the 10K Race, Cranleigh BBQ, and much much more!